Who would have thought that a Wii U game could cause so much drama in 2019? 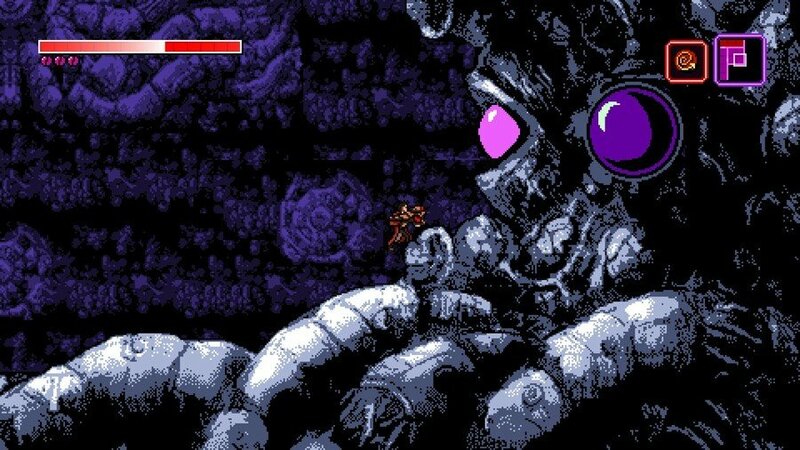 We recently reported on the news that Limited Run Games is finally releasing the Wii U version of Axiom Verge after a costly legal tussle with the Spanish company BadLand Games. The two firms had signed a deal back in 2017 to create physical copies of the brilliant Metroidvania outing, but that never happened – despite Limited Run handing over $78,000. According to Limited Run CEO Josh Fairhurst, the company never got the 6,000 copies it was promised, and despite the threat of legal action, the situation remained largely unresolved until very recently. BadLand has now issued an official statement explaining its side of the story, and it does little to smooth things over, as you might expect. It is claimed that there were attempts to make contact with Limited Run (a claim which has been contested previously) and that BadLand has made no profit from the deal. We can't imagine this statement will do anything to calm the situation down, but do you think that BadLand has perhaps been unfairly painted as the bad guy in all of this? Let us know with a comment. It’s hard to believe they are trying to paint themselves as the victims now. Pretty awful response. Yeah, no. The guy's a scumbag who went incognito for months, left Tom Happ and LRG hanging with a loss of $78k and kept on releasing games while not even trying to respond to their attempts at communication. It's only now that he and his company are getting roasted to hell and back that all of this is being pulled out of their collective arse. I find this video sums up pretty well the real, no-nonsense side of the story, if you're curious. Pathetic response from badland games. Yeh, right... What a Dou*&#. Lol we he edited his post. He had said first. Welp, didn't expect this turn of events, but here we are. No clue how this is going to end. Smacks of not-too-carefully-worded disingenuousness. They should have just kept their mouthes shut as they have done nothing to invalidate what has been disclosed by Limited Run and Thomas Happ. The fact of the matter is that other parties have suffered due to Badland's mismanagement and stupid financial decisions. No PR spin will gloss over that. They have not fulfilled the rights of LRG and Thomas Happ. If they wanted to salvage their image, they should have just paid them their due, but they didn't, so what exactly are they hoping to gain from this idiotic statement where they admit to wrongdoing but flatly refuse to make amends? I hope they go bust. "Neither Badland Games nor Luis Quintans have NEVER made any kind of profit from the sale of the game Axiom Verge." Neither have they never? Does that mean they did? Was that official statement run through Google Translate? Man, there's an awful lot of finger pointing going on in this letter. Especially coming from a company that just lost a bunch of someone else's money, legally or otherwise. @LinkSword correction, Badland screwed LRG for $78.000, but above that they screwed over Thomas Happ for more than $200.000 and that EXCLUDES the promised 75% he would get from Badland for each sold copy of the game. this is such a transparently pathetic statement. they messed up, totally. @TechaNinja Where’s the F5 key on mobile? I was just here at the right time and wanted to claim the spot and have time to think of a comment... please calm down. @NintendoFan4Lyf an intentionally contradictory double negative is common in english but less so in other languages. "Neither never made" in an actual statement. But, please correct me if I'm wrong, that is a double negative which means he is actually saying that they did make money off of it. @LinkSword Saw that video yesterday. Pretty scummy from what they did. Hope these guys get blacklisted. I note that the response doesn’t actually refute any of the claims against them. It only explains, truthfully or not, that BadLand didn’t benefit in the end from whatever happened. Looks practically like a confession to me. I'm still waiting for one of those from Comcept regarding the ghost versions of Mighty No. 9 for 3DS and Vita. Can't see it happening. Geez, BadLand had the perfect opportunity to either remain silent or apologize politely, but this response just made things way more awkward for them. So as I am reading their statement, their defense appears to be that they took the $78k but reasons. Those reasons seem to either be they were already in a deep hole they were hiding (spent on other debts) or just wasted the money without delivering the goods. I am not an accountant but taking a payment on a product is a profit, regardless of the overall balance of the books. Regardless, this doesn't make them look good but it does make them look like a shady operation that everyone should avoid. That second shouldn't be too difficult if they are bankrupt and going out of business. Why is the video game industry filled with so much scam and drama? I didn't follow any of it until today, but this isn't an explanation, especially with the parent company trying to protect a scammer who is still an employee. They are just begging for forgiveness. @ROBLOGNICK My thoughts exactly. They are pleading guilty with this double negative. Gotta say, I haven't read a single neutral media report on the matter. They all seem particularly slanted. On top of that it looks like BadLands never paid the 75% of the profits for the disease of the creator's son like they promised they would. So.... long story short the company is bankrupt and it’s risky to do any business with them, as a partner or as a consumer? You’d have to be a novice in business to accept this statement as fact. It’s filled with so many glaring lies and clear nonsense one can only assume this bankrupt company and its owner are nothing more than full blown crooks. @Moroboshi876 And that's pretty much the main reason why I double-dipped. I have the physical version of the switch version (though I feel bad about owning it since it was published by these guys) but happy I bought it on Vita as soon as it was released digitally for it. Might triple dip on it and get it on steam. Is that a double negative or a triple negative? @ROBLOGNICK Dang, you totally beat me to it. That doesn't not make me happy. They owe so much money especially to Tom Happ that would've been needed to take care of medical bills for Tom Happ's child. It's beyond imaginable what sort of soulless people are in that Spanish company. Also a huge warning sign to any indie devs operating with BadLand that they should stay away. Well, if they really have been trying to contact LRG with plans to repay the debt, then they have a point. After all, they couldn't release the game as promised if they truly didn't have any assets to actually do it. Although, it is strange that it took them until 2018 to declare bankruptcy. If that means they did have the assests to release the game when they were supposed to do so, then merely stating a lack of profit is no excuse for folding on a business deal. The biggest issue seems to be that both sides claim to be the one that attempted to contact the other with no response, so how do we know who's telling the truth? I guess that's what the law suit will investigate among other things.